In a time where anthemic garage rock appears to command a pop cultural cachet roughly comparable to the bootcut jeans you thought you donated to a charity shop years ago, the kind of fanfare that surrounded The Vaccines before they dropped their debut LP back in 2011 already seems a relic of an altogether different, perhaps sweeter, era of music. Variously described at the time as ‘saviours of indie’, a ‘shot in the arm’ for pop music and heralders of a ‘new era in British rock’, the London outfit themselves seemed to be the ones most ready to call shenanigans on the giddy hyperbole of the hype machine; their Ramones-tinged, gold-certified record carrying a wry nod to its own hullabaloo in its title – What Did You Expect From The Vaccines?. While perhaps not turning them into the messianic figures imagined by the music press, it certainly set brought plenty of fellow travellers for their journey to many a musical destination in the years to follow, more recently experimenting with a fuzzy, sonically adventurous sound in 2015’s English Graffiti. So what are we to expect from The Vaccines now, seven years, two new members and four records on? To coincide with the release of new album Combat Sports, Benedict Tetzlaff – Deas from Exposed magazine was on the case to work out just that, hitting up frontman Justin on the old rag and bone one chilly Wednesday morn with a bag full of questions and a hunger for answers. Hi Justin, how’s your day looking? Lovely. So your album’s just come out – and I’m guessing it’s not about ju-jitsu – so what can fans expect to hear in Combat Sports? Not quite! Well I think sort of lyrically speaking it’s just sort of picking up where we left off. I guess ‘Combat Sports’ is a reference to adult life in the relationships it throws at us, and all those things that are thrown at us kind of feeling like a combat sport at times. And I suppose it’s also to do with the experience of being in a band – it’s a very personal album, I think. But yeah, I guess it’s a metaphor for the stuff life throws at us, really. So lyrically you’re picking up where you left off, but what is it you’re doing in this album that you feel you haven’t done before? I think whenever you’re making records you always hope you’re on a road to refinement, you’re always trying to learn from what you went through the last time out and improve. Essentially, you’re on that never-ending quest to perfect your art, aren’t you? I also think, as well as that, making music is so cathartic that the need and desire to do so that never goes away, so I think we wanted to scratch that itch and basically create the best record we ever have. Certainly off the back of the last record it felt like we wanted to make a record that we felt more comfortable kind of integrating into our live set, and I guess our identity as a whole too. Your last record was quite well-received though, wasn’t it? Yeah I guess so, I guess so. But we certainly didn’t think about that when making this record though because I don’t think you can cheat yourself. I mean, I love that record, and there are some songs on there that are up there with my favourites, they’re some I’m most proud of, but it never sat quite right with me when we were playing it live. My dream was always for people to be able to describe us in a few words, in a short sentence or whatever – ‘what is it that The Vaccines do that no one else does?’ sort of thing – so the last record was kind of a quest to discover that. But at the end, I think we kind of felt more confused about what that actually was. I certainly came out of that still not sure what it was that we did that no-one else did, what it was that made us unique. Do you feel that need to wipe the slate clean when you start crafting a new album? Definitely. As I was saying, you always want to learn from the last record; you’re always trying to build on the last one. But yeah, I think we have wiped the slate clean – it took us a little while to do that, a year or so of writing and trying to work out what we could do and what to carry through from the last record to this one. And all we really did take was ourselves and our songwriting. Talking of changes, what has effect been from the changes in lineup? Yeah, so we now have Tim playing on keyboards and Yoann on drums. I think really there’s a reason why most bands don’t make four albums and it’s because it’s incredibly difficult to be in a band that long. But yeah, the general environment, I wouldn’t say it was toxic but it was definitely quite stale. We’re now 40% a new band and it feels like that. They’ve also made us look at ourselves, call us out when we’re being pricks to each other. It’s exciting. It feels good. It feels fresh. An adrenaline shot for The Vaccines? I just never really thought about that, I didn’t ever think we’d make one album in all honesty. But I suppose once you start achieving you never want to stop achieving, and then you sort of take every record as it comes. So, to throw things back a bit, your first album had a very self-referential, quite wry title. Do you still have that sense of maybe not taking your band’s image too seriously? (laughs) Of course, of course, and there’s still that sense of taking everything with a pinch of salt. It’s paradoxical, really, because obviously we take everything we do incredibly seriously, and we put everything we have into the band. I think a bit of self-awareness in any situation, be it social or creative or whatever, is a pretty key ingredient. Do you think there’s still plenty of life left in the five-piece rock ‘n roll band in 2018? Yeah, I mean I think there’s a hunger for it, I don’t think that’s ever gone away. I think it’s perhaps easy to think it’s not there just because it’s not as in vogue as it was ten years ago and may not hold as much weight culturally; there aren’t millions of kids going out and buying indie records, but I think there’s always that hunger for rock ‘n’ roll. It’s also incredibly hard and expensive to start a rock n roll band – if I was a 16 year-old kid and everything that was exciting creatively and culturally was coming from someone who had created everything on their computer, why would I go and work for a few months to buy a bass guitar or a drumkit? Why spend two-hundred quid every time I wanted to rehearse with my friends? On that broader theme, in times of turmoil like our own, do you think music is more useful as a call to action or a tool of escapism? I constantly have that conversation in my head, and I genuinely think it’s both. I think it’s just as important as escapism as it is a tool to enlighten, inform and educate. There’s definitely this narrative at the moment where it’s an artist’s responsibility to do all those things, but it’s really what you feel comfortable talking about, and how much you know about something. I’ve always been turned off by music I find too preachy; I’ve always enjoyed searching for the answers on my own – so, for me, music is escapism. I think the press is often guilty of looking at music only as art rather than entertainment, and politics in art is a lot more understandable than politics in entertainment. Yeah, we spent June last year to October last year basically living and working in Attercliffe while recording at McCall Sound studios with a Sheffield-based producer, Ross Orton. We’ve got a lot of time for the place. 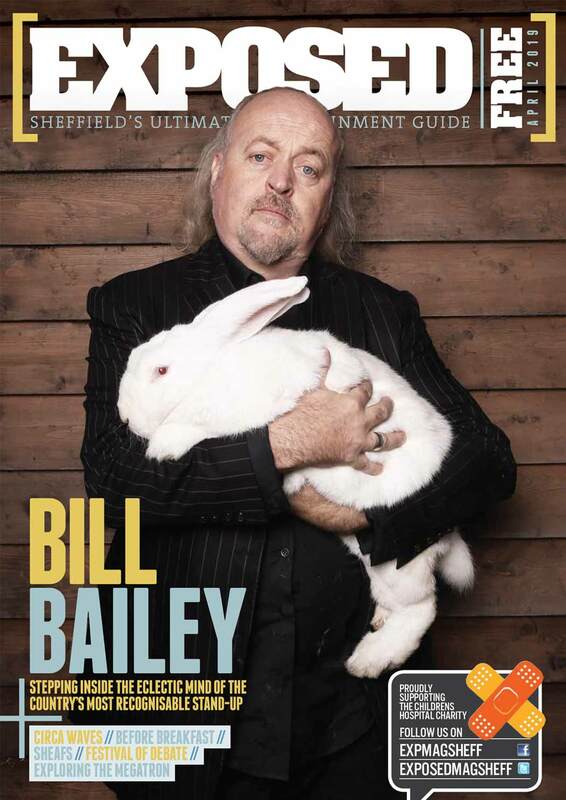 Sheffield was the first date of the tour to sell-out, but we initially thought that might’ve just been all the waiters at Ashoka and their families! But yeah, we’re really excited to be coming back in April. Mega. So, onto the serious stuff: which bandmate is the biggest hippie and which is the biggest businessman? Ah. Well, Freddie fancies himself as a businessman – in fact, Freddie has a business, he’s got a clothing company, so I guess I’ve got to give him that title. And then, I mean Tim, our keyboard player and guitarist, he’s Australian and grew up on the sunshine coast, he skateboards and surfs so that one’s kind of a no-brainer. I’d say that definitely qualifies! Thanks for your time, Justin. Thank you, nice to talk to you! 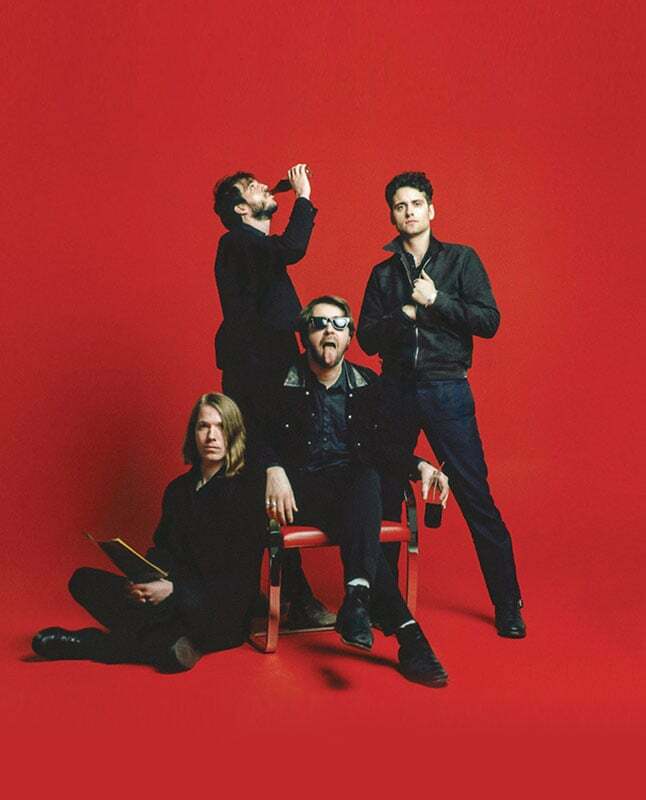 The Vaccines play O2 Academy Sheffield on April 13th and tickets are available here. Combat Sports is out now.